Albert Sickler died last week. He was 94. You maybe didn’t know Albert. Let me tell you a little about him. The first time I met Albert (at least that I can remember) was in the summer of 2004, on the front steps of his aging house on a farmstead in Dunn County, N.D., some 25 miles northeast of Dickinson. We had seen an ad in the paper for a farmstead and 40 acres for sale, so we called and made an appointment. Lillian and I were freshly married and looking to set up residency in the country somewhere near Dickinson, where Lillian could drive back and forth to work as library director at Dickinson State University. My fate was yet to be decided, but we figured once we got settled into a home, we could start figuring out what I should be doing for the rest of my life. Albert lived all his life on a farmstead in Dunn County, until his wife Viola died, and he married the widow down the road, Dorothy Galyen, and they were both approaching their 80th birthdays, so they moved to a house in town. He had peeled off 40 acres and the farmstead from the rest of his land and he was selling the farmhouse we were looking at. We introduced ourselves. Albert said, “Jim Fuglie. I know that name.” I puffed up my chest a little bit, thinking he was going to say, “You used to be the tourism director, right?” That was the response I usually got in those situations. But not from Albert. I acknowledged he was right and told him he had a good memory, since it had been nearly 30 years since my byline had appeared in that paper. He showed us around the house and the farmyard. The proposed sale would include an aged house in need of some updating, a barn, a garage, a chicken coop, a wood granary, an outhouse and a steel Quonset. A second steel Quonset directly across the farmyard from the house was not part of the deal. He wanted to hang on to that to store some of his stuff and, as we found out over the next few years, a place to come and tinker when he needed to escape the confines of the city and get some country air in his lungs. A few days later, we shook hands and made a deal and set a time in the lawyer’s office to sign the papers. As we looked them over, I noticed it said he was going to pick up the outhouse and move it over behind his quonset. That outhouse had been there more than 50 years, but hadn’t been used for a few years. It had been a convenient place for him to stop and do his business without having to take his boots off to go in the house in the days he was still farming. Lillian and I kind of liked the idea of keeping the outhouse sitting out behind our house, thinking we wouldn’t use it, but it added to the charm of our “Green Acres” experience and would serve as a conversation piece for visitors. We asked him why he wanted it. Lillian and I conferred, and came up with a proposed deal. There was a lot of gravel in our part of Dunn County, judging from the big gravel piles along the roads, and we weren’t very excited about having a gravel pit on our 40 acres. So we proposed a trade-off — Albert would give us the surface mineral rights for our 40 acres, in exchange for the outhouse. Albert quickly agreed. Dorothy, who had been sitting by quietly, breathed a big sigh of relief, and said, “Well, thank goodness. That’s the first time I ever saw a deal almost fall through because of a shitter.” That was the first taste we got of a salty Dunn County farm wife, and we decided we liked her a lot, and she could visit any time. So the deal was done and we moved in, and that’s when we got to really know Albert. He was a pretty regular visitor, tinkering in his Quonset or working on machinery. He was quite a character and proved a real bright spot in the deal we had made to move to the country. We hired a contractor to gut out the house, redo the bedrooms, one of which had been converted into a laundry room when Viola could no longer get up and down the basement stairs, and turn three small rooms — kitchen, living room and office—into one big open room for us to live in. Albert poked his head in and shook it from time to time, but in the end, I think he liked what we did. Meanwhile, I set about painting all the buildings barn red. That was my summer project. I saved the barn for last. I set up some scaffolding and bought 25 or 30 gallons of paint in 5-gallon buckets, and one hot day in August, when I was nearly done, I ran out of paint. I came walking dejectedly through the yard with my head down, carrying an empty bucket, and encountered Albert. The yard was woefully short of trees for shade — like most farmers who worked outside all day, Albert didn’t spend much time sitting around his yard — he went inside the house at the end of the workday. So, like the city folks we were, who enjoyed sitting around the back yard in the evening, maybe barbecuing a few hamburgers or having a gin and tonic, we got a few cottonwood trees from the Soil Conservation Service and planted them around the house, hoping that we’d live long enough to enjoy their shade someday. Albert stopped by when I was planting them and asked what kind they were. Cottonwoods, I replied. Never mind that we would have had a nice shady yard if Albert had planted some 50 years ago. Our mailbox was about a mile from the house, and I like to walk, especially in the country, so from time to time, I’d walk to the mailbox to get some exercise. One day I was on my way and Albert turned down the road to our place. He pulled up beside me with a puzzled look on his face and asked me if something was wrong, if I needed a ride. And he drove away shaking his head. Of course, Albert spent his days dashing nonstop from one farm building to the next, getting plenty of exercise, so the frivolity of just walking to the mailbox never occurred to him. “Albert served on many boards, including Iota School District Board for eight years, Dunn County ASCS for 18 years, Farmers Union Oil Co. of Dickinson for 18 years, Advisory Board for the Dickinson State University and the Ag Department for 18 years. “He was chairman of the Dickinson Experiment Station Advisory Board and was instrumental in getting the Roughrider Livestock Show started and served as its chairman for many years. He was past president of the North Dakota Polled Hereford Association and was named “Polled Hereford Man of the Year: in 1985. 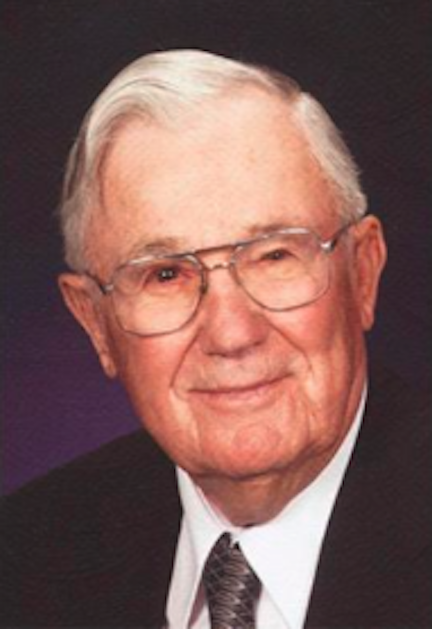 “He was past president of North Dakota County Commissioners Association and past president of the seven-county association, and president of the 20 county oil and gas producing counties. He was a member of St. Joseph’s Hospital Advisory Board. Albert was vice president of the Southwest Multi County Correction Center. “He served on the Board of Badlands Human Service Center in Dickinson. He was past chairman of Roosevelt Custer Association and received the 1988 Lewis Odland Memorial Award presented in recognition of outstanding area wide leadership and dedication as a local public official. “Albert played an integral part in starting the DSU Ag Dept. and getting the DSU multipurpose arena built. He received the Dickinson Chamber of Commerce Ag Person of the Year award in 2010. Whew! I get tired just reading that. They don’t make men like Albert Sickler anymore. I’m glad I got to know him. In the end, we decided that when we retired, we wanted to live closer to civilization, so we moved to Bismarck. But before we moved, we sold the farmstead and the 40 acres to Albert’s grandson. Klint Sickler had been in college when we bought the place, but by the time we were ready to move, he was graduated and ready to start farming with his dad, who lived just down the road, and so we sold him the place his Grandpa had owned and where his dad had grown up, and we all felt good about it. They’ll bury Albert today. We should be there, but I have a doctor’s appointment I can’t miss. We’ll be thinking about him. One of these days, we need to drive by and see if those little yellow birds are still there. There aren’t many people left like him who get things moving and oversee it’s business as well as being a farmer. Blessings. Amen.